I’ll be participating from 9 a.m., Friday June 6th to 9 a.m. Sunday, June 8th. Even if you don’t have time to read, there will be a wealth of recommendations on the theme of diversity. Click the image above for all the exciting details. 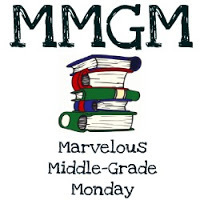 This entry was posted in Reading, Resources and tagged 9th Annual 48 Hour Book Challenge, Blog Tour for It's NOT Just A Dog, Middle grade. Bookmark the permalink.